We are part of the Baker Ross Bloggers Network and now and again they send us lots of lovely goodies to try out. Last week we received a big box just in time for Halloween and we couldn't wait to see what was inside! Elliot was really excited to see the photo frame kits because we had a set of these in a previous box and he absolutely loved making them. 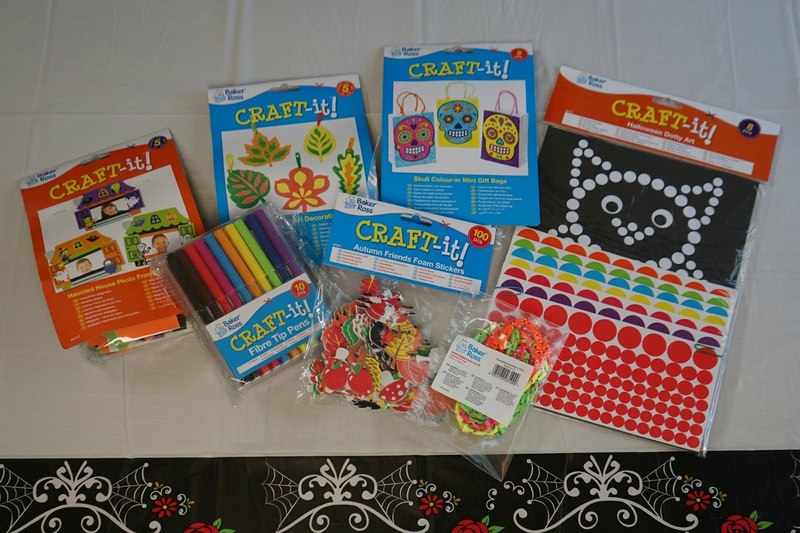 They are perfect for pre-schoolers are theres no gluing involved and all the foam parts are pre-cut. The only bit Elliot needed a hand with was cutting the photos to size. The next activity we did was the dotty pictures. I've not seen these before but they are really simple, yet effective and a great activity for kids as they can do by themselves! 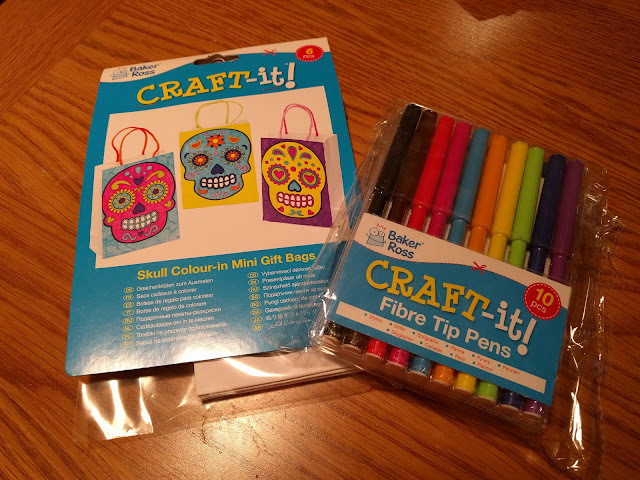 I love the cute little Day of the Dead themed gift bags and think this would make a great activity for parties or playdates. They are quite small little bags but perfect to put a few Halloween treats in! We've not had the chance to try out the Leaf Sand Decorations yet but with half term just around the corner, this is a really fun activity to bring out on a rainy day. We tried out the Summery Sand Art in our last Baker Ross and it was a bit hit so we are looking forward to doing the Autumn themed one! Lots of the Halloween stuff has now been reduced on the Baker Ross website so get on over there!